Delighted to announce new clients ...Tom The Spray Stop signs on the dotted line. Absolutely delighted to announce our new weekend sponsor Rebecca Selby starts after our Top 100 weekend...last weekend in April. 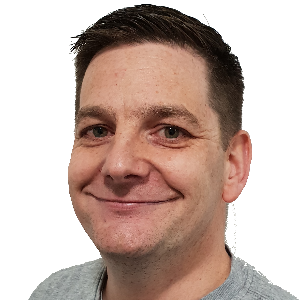 Congrats to our latest advertiser James Steel ...great to have you on board...and coming soon a chance to win £500 worth of alarm and installation...this April...brilliant stuff. Why not advertise your business with Rossendale Radio, click here to find out more. Thank you very much for visiting our new website. 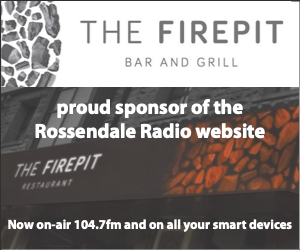 We are the new radio station for the Rossendale Valley, broadcasting on FM, on all your smart devices, and here via this website. Just say "Play Rossendale Radio" to your smart speaker - go on - give it a try! Every weekday morning join Tony Horne In The Morning at 9am UK time for Online@9 where you can see a small chunk of our Breakfast Show as it goes out. Then on weekday afternoons join Tony Nixon with your Teatime show where you can see a bit more in Facebook Live @5. We have a fantastic line-up during the week and over the weekend, to find out more check out our Presenters and Schedule. Comment as we go, watch the East Lancs Railway in the background and tell your friends that you can now watch the shows as well as hear them. Streaming is as important to us as the good old-fashioned radio. You give us two valuable pieces of information. We get instant numbers as to how many of you are logging on, and we get incredible locations. So, whether you are just around the corner or somewhere around the globe, please let us know where you are listening online and who you are. If you would like a mention? Then send us an e-quest to studio@rossendaleradio.com with the time you would UK time you would like to hear it. You can also watch some shows live as they go out. Would you like to advertise with us on the air? or even sponsor a show? it's more affordable than you think. 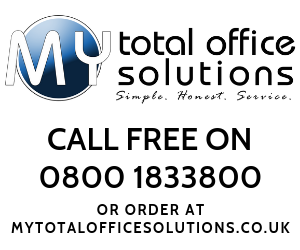 Why not get in touch and speak to one of our experts. More information on advertising with Rossendale Radio can be found here. Oh, and please share and re-tweet all our stuff. And thanks for stopping by.